Black 2018 Maserati Levante AWD ZF 8-Speed Automatic 3.0L V6 12-Way Heated Power Front Seats, 2.80 Axle Ratio, 4-Wheel Disc Brakes, 8 Speakers, ABS brakes, Adaptive suspension, Air Conditioning, AM/FM radio: SiriusXM, Anti-whiplash front head restraints, Auto High-beam Headlights, Auto-dimming door mirrors, Auto-dimming Rear-View mirror, Auto-leveling suspension, Automatic temperature control, Blind spot sensor: warning, Brake assist, Bumpers: body-color, Delay-off headlights, Driver door bin, Driver vanity mirror, Dual front impact airbags, Dual front side impact airbags, Electronic Stability Control, Exterior Parking Camera Rear, Four wheel independent suspension, Front & Rear Parking Sensors, Front anti-roll bar, Front Bucket Seats, Front Center Armrest, Front dual zone A/C, Front fog lights, Front reading lights, Full Leather Seat Upholstery, Garage door transmitter, Headlight cleaning, Heated door mirrors, Heated front seats, High intensity discharge headlights: Bi-Xenon, Illuminated entry, Key Fob w/Remote Start Function, Leather Shift Knob, Leather steering wheel, Low tire pressure warning, Memory seat, Navigation System, Occupant sensing airbag, Outside temperature display, Overhead airbag, Overhead console, Panic alarm, Passenger door bin, Passenger vanity mirror, Power door mirrors, Power driver seat, Power Liftgate, Power passenger seat, Power steering, Power windows, Radio data system, Radio: Maserati Touch Control Plus, Rain sensing wipers, Rear anti-roll bar, Rear reading lights, Rear seat center armrest, Rear window defroster, Remote keyless entry, Security system, Speed control, Speed-sensing steering, Speed-Sensitive Wipers, Split folding rear seat, Steering wheel memory, Steering wheel mounted audio controls, Tachometer, Telescoping steering wheel, Tilt steering wheel, Traction control, Trip computer, Variably intermittent wipers, Wheels: 19" Zefiro Polished Alloy. Come get this $93k MSRP GRANSPORT GHIBLI S for under $76k. Brand New Car, Loaded with all options!!! Manager's Demo! Right in our Showroom. Come get the nicest car that we have! Bianco with Rosso interior. GranSport Model!!!! Blu Passione Mica 2019 Maserati Levante AWD ZF 8-Speed Automatic 3.0L V6 8 Speakers, Blind spot sensor: warning, Brake assist, Dual-Pane Panoramic Sunroof, Electronic Stability Control, Gloss Blue Painted Brake Calipers, Kick Sensor for Hands-Free Tailgate, Leather Upholstery, Navigation System, Power Liftgate. Recent Arrival! Nero 2019 Maserati Levante AWD ZF 8-Speed Automatic 3.0L V6 2.80 Axle Ratio, 8 Speakers, Air Conditioning, Auto High-beam Headlights, Auto-dimming door mirrors, Blind spot sensor: warning, Bumpers: body-color, Delay-off headlights, Dual-Pane Panoramic Sunroof, Exterior Parking Camera Rear, Gloss Red Painted Brake Calipers, Heated door mirrors, Leather Upholstery, Navigation System, Panic alarm, Power door mirrors, Power Liftgate, Rain sensing wipers, Rear window defroster, Remote keyless entry, Security system, Speed control, Steering wheel memory, Wheels: 20" Nereo-Matte. Nero 2019 Maserati Levante AWD ZF 8-Speed Automatic 3.0L V6 4-Wheel Disc Brakes, 8 Speakers, ABS brakes, Adaptive suspension, Air Conditioning, Auto High-beam Headlights, Blind spot sensor: warning, Delay-off headlights, Dual-Pane Panoramic Sunroof, Exterior Parking Camera Rear, Front fog lights, Gloss Red Painted Brake Calipers, Leather Upholstery, Memory seat, Navigation System, Panic alarm, Power driver seat, Power Liftgate, Power steering, Power windows, Radio: Maserati Touch Control Plus, Rear window defroster, Remote keyless entry, Security system, Speed control, Steering wheel memory, Traction control, Wheels: 20" Nereo-Matte. Come get the nicest Ghibli SQ4 out there! GranSport Model! One of a kind! Special Manager's Demo! Blu Emozione Mica 2019 Maserati Levante AWD ZF 8-Speed Automatic 3.0L V6 12-Way Heated Power Front Seats, 2.80 Axle Ratio, 4-Wheel Disc Brakes, 8 Speakers, Adaptive suspension, Air Conditioning, AM/FM radio: SiriusXM, Blind spot sensor: warning, Brake assist, Bumpers: body-color, Driver door bin, Driver vanity mirror, Dual-Pane Panoramic Sunroof, Exterior Parking Camera Rear, Front Bucket Seats, Front dual zone A/C, FULL NATURAL DRILLED LEATHER, Gloss Red Painted Brake Calipers, Heated door mirrors, Memory seat, Navigation System, Panic alarm, Power door mirrors, Power driver seat, Power steering, Power windows, Radio: Maserati Touch Control Plus, Rain sensing wipers, Rear seat center armrest, Remote keyless entry, Security system, Traction control, Trident Logo Stitched on Front & Rear Headrests, Ventilated Front Seats, Wheels: 20" Nereo-Matte. 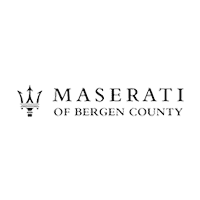 Bianco 2019 Maserati Levante GranLusso AWD ZF 8-Speed Automatic 3.0L V6 14 Speakers, 4-Wheel Disc Brakes, ABS brakes, Adaptive suspension, Air Conditioning, AM/FM radio: SiriusXM, Anti-whiplash front head restraints, Auto High-beam Headlights, Auto-leveling suspension, Automatic temperature control, Blind spot sensor: warning, Brake assist, Dual front impact airbags, Dual front side impact airbags, Electronic Stability Control, Four wheel independent suspension, Front anti-roll bar, Front Bucket Seats, Front Center Armrest, Front dual zone A/C, harman/kardon® Speakers, harmon/kardon 900 Watts Premium Audio System, Heated front seats, High Gloss Ebano Wood Trim, Memory seat, Navigation System, Panic alarm, Power driver seat, Power Liftgate, Power moonroof, Power passenger seat, Power steering, Power windows, Rear anti-roll bar, Rear window defroster, Remote keyless entry, Security system, Split folding rear seat, Steering wheel memory, Steering wheel mounted audio controls, Trip computer, Ventilated Front Seats, Ventilated front seats, Wheels: 20" Nereo-Matte, Zegna Silk & Leather Upholstery. Nero 2019 Maserati Levante AWD ZF 8-Speed Automatic 3.0L V6 **REAR BACK UP CAMERA**, **HEATED SEATS**, **COOLED SEATS**, 20" EFESTO MIRON-DARK GREY, Auto High-beam Headlights, Blind spot sensor: warning, Brake assist, Electronic Stability Control, Exterior Parking Camera Rear, Gloss Red Painted Brake Calipers, Navigation System, Open Pore Radica Wood Trim, Panic alarm, Power Liftgate, Ventilated Front Seats. Recent Arrival! Nero 2019 Maserati Levante AWD ZF 8-Speed Automatic 3.0L V6 4-Wheel Disc Brakes, 8 Speakers, ABS brakes, Adaptive suspension, Anti-whiplash front head restraints, Auto High-beam Headlights, Auto-leveling suspension, Blind spot sensor: warning, Brake assist, Delay-off headlights, Dual front impact airbags, Electronic Stability Control, Exterior Parking Camera Rear, Four wheel independent suspension, Front fog lights, FULL NATURAL DRILLED LEATHER, Fully automatic headlights, Gloss Red Painted Brake Calipers, High intensity discharge headlights: Bi-Xenon, Leather Shift Knob, Leather steering wheel, Navigation System, Open Pore Radica Wood Trim, Panic alarm, Power Liftgate, Security system, Speed-sensing steering, Traction control, Wheels: 20" Nereo-Matte. Bianco 2019 Maserati Ghibli S Q4 Nerrisimo Package AWD ZF 8-Speed Automatic 3.0L V6 4-Wheel Disc Brakes, 8 Speakers, ABS brakes, Air Conditioning, AM/FM radio, Automatic temperature control, Blind spot sensor: warning, Brake assist, CD player, Delay-off headlights, DVD-Audio, Electronic Stability Control, Exterior Parking Camera Rear, Four wheel independent suspension, Front anti-roll bar, Front Center Armrest w/Storage, Front dual zone A/C, Gloss Red Painted Brake Calipers, Heated front seats, High intensity discharge headlights: Bi-Xenon, Knee airbag, Low tire pressure warning, Memory seat, Navigation System, Nerissimo Package, Overhead airbag, Panic alarm, Passenger door bin, Power driver seat, Power moonroof, Power passenger seat, Power steering, Power windows, Radio data system, Radio: AM/FM w/Maserati Touch Control Plus & Nav, Rain sensing wipers, Rear anti-roll bar, Rear fog lights, Rear window defroster, Remote keyless entry, Security system, Speed-sensing steering, Speed-Sensitive Wipers, Split folding rear seat, Steering wheel memory, Steering wheel mounted audio controls, Traction control, Variably intermittent wipers, Wheels: 20" Silver Teseo.